I’m a big fan of having a few indoor plants in my home. Not only are they decorative, they also add life to my space, and can come with some pretty great benefits too. 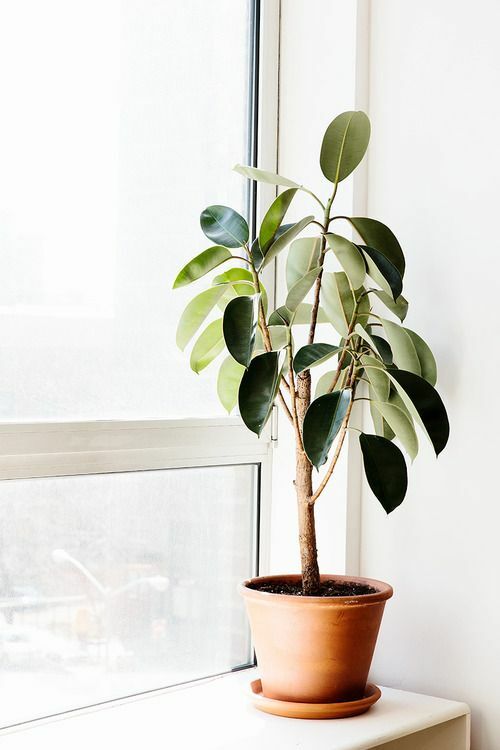 Houseplants can increase oxygen levels in your home and can remove harmful chemicals found in cleaning solvents like benzene, formaldehyde, and trichloroethylene. They’re also quite easy to grow, so for those of you who have more of a brown thumb than a green one, these plants are a great place to start. 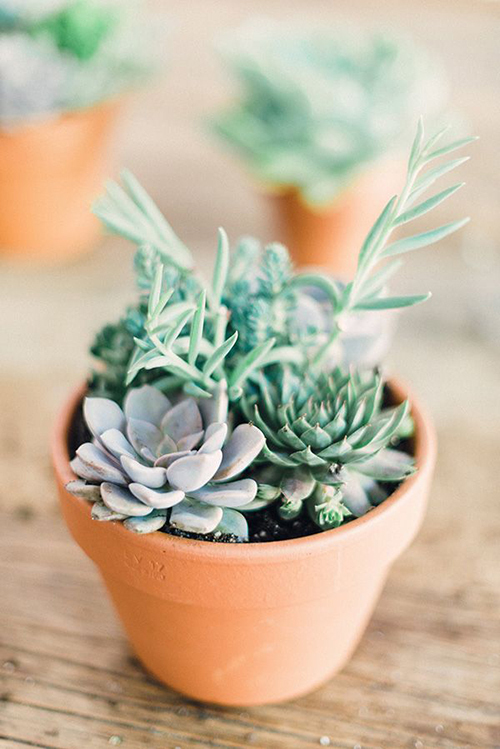 Succulents are a very “trendy” plant right now and it’s no mystery why: They come in a rainbow of greens, purples, yellows and blues, and they are nearly impossible to kill. They don’t need much water, so allow the soil to be dry most of the time and place them somewhere they will get plenty of sunshine. 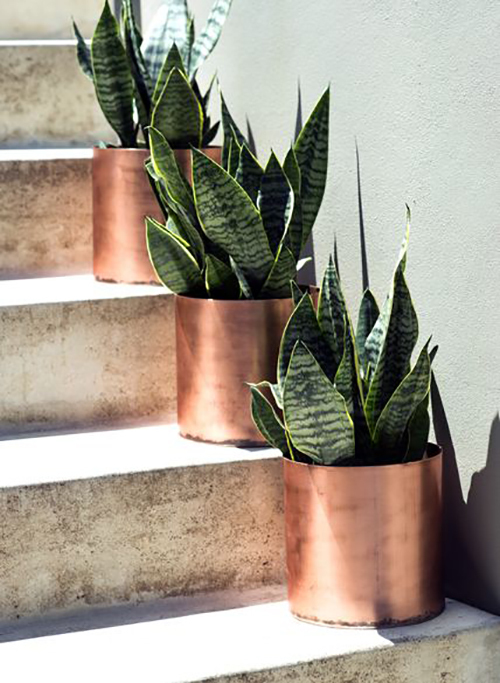 Snake plants can have a very cool, modern look in a house—especially when they’re planted in gorgeous copper pots like the repurposed ones above! The variegated leaves grow upright and can have yellow or white edges. 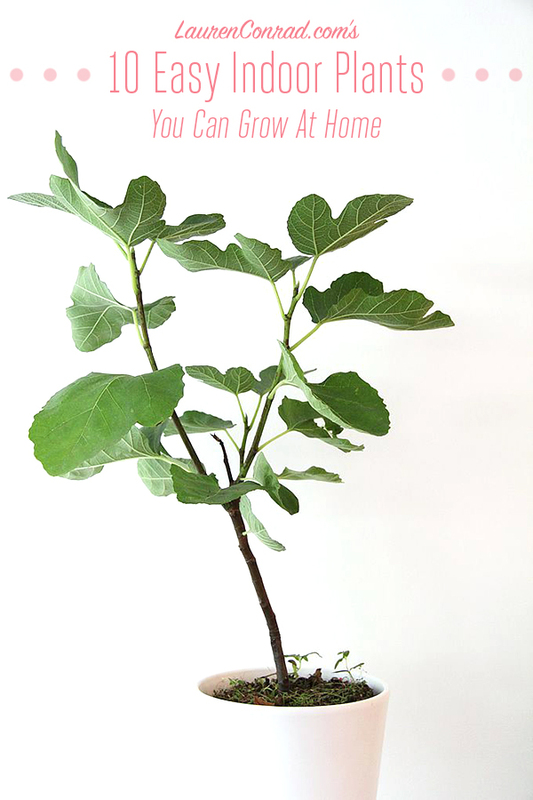 You can grow these guys in pretty much any lighting condition; just be sure to keep the soil pretty dry most of the time. 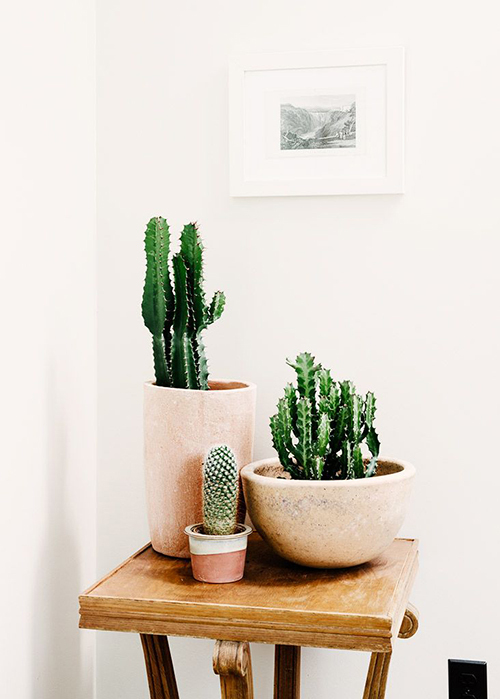 Cacti, like succulents, are also having a moment right now. They give off instantly cool California vibes when they’re added to modern, minimalistic décor. They do best planted in pots that allow for a lot of drainage, and when planted with southern-facing lighting. You don’t need to water cacti often. Give them a little drink when the top ½ inch of the soil or moss is dry. This plant of the succulent variety can grow up to three feet high, making it quite a statement plant. Keep it at room temperatures of around 70 degrees and give it lots of sunlight, watering infrequently. 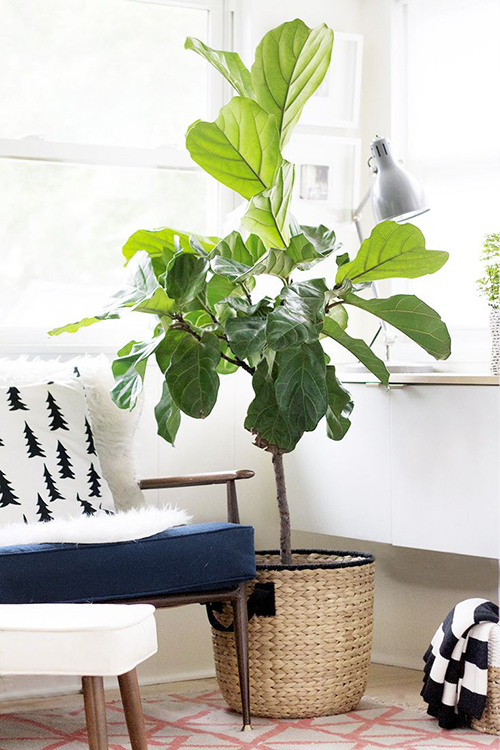 Rubber trees are probably my next favorite indoor plant, after fiddle leaf trees. The leaves are a beautiful oblong shape and they have a gorgeous texture to them. Bright, indirect sunlight is best for these trees, so place them next to a window that has blinds, shutters or sheer curtains. And allow the soil to dry slightly in between watering. 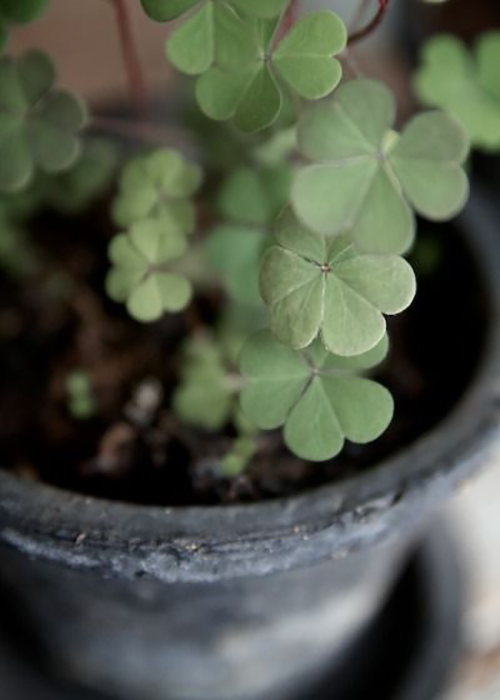 A sweet shamrock plant is a great variety of greenery to place on your mantle, console or kitchen windowsill. They will even bloom little white flowers on their stems. Give yours indirect or filtered light and water the soil once a week, allowing it to dry thoroughly in between. 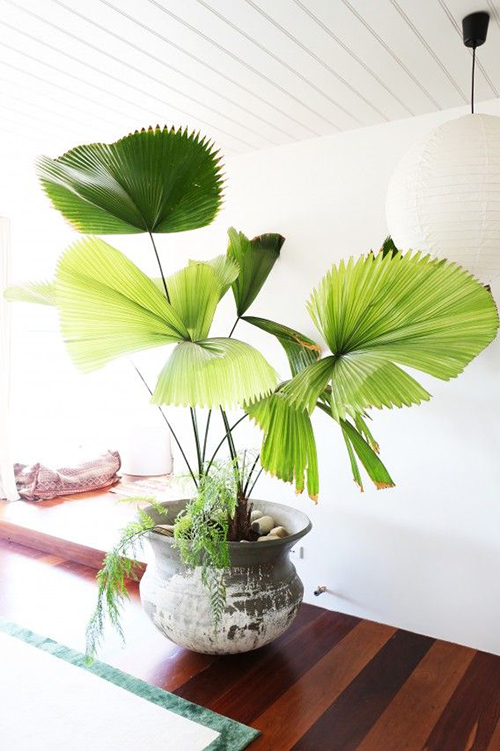 The dwarf version of this tropical Fiji palm adds a really colorful and bold touch to any home. I love how the palm leaves look like rounded fans—different than the usual feathered leaves we often see around Southern California. This plant thrives in warm temperatures, and most are shade tolerant, if not shade loving. Infrequent watering is recommended. This dark purple and green-leafed plant will look great in any corner of your home in a bright white planter. Just make sure it has moderate shade to indirect light (they don’t do well with strong sunlight). And keep the soil moist at all times. 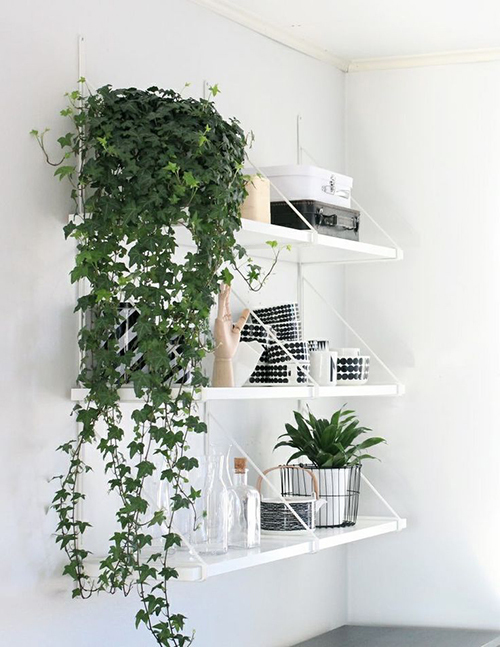 The cascading greenery of an English ivy is the perfect, subtle touch of nature for your home. 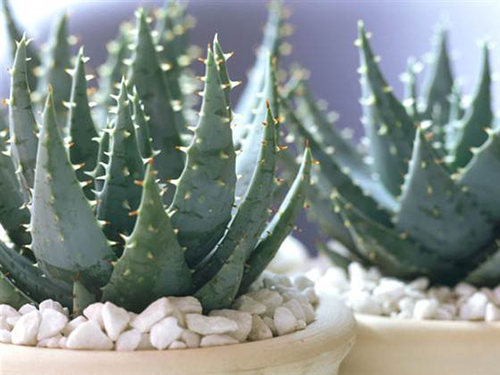 And according to WebMD, it’s one of the most air-purifying indoor plants. It’s also a great hostess gift when presented in a pretty basket or vase. English ivy is also easy to care for in your home. They do best in cooler temperatures, and with moist soil. 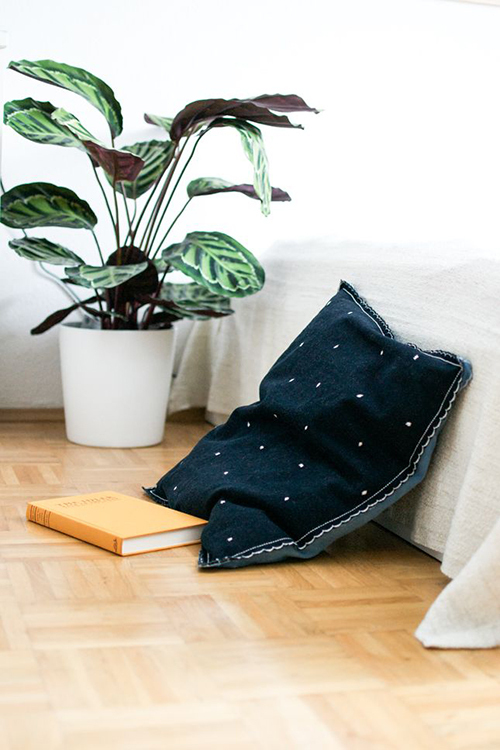 Which of these indoor plants will you add to your décor?